English school, circa 1700 (Southeby's) . 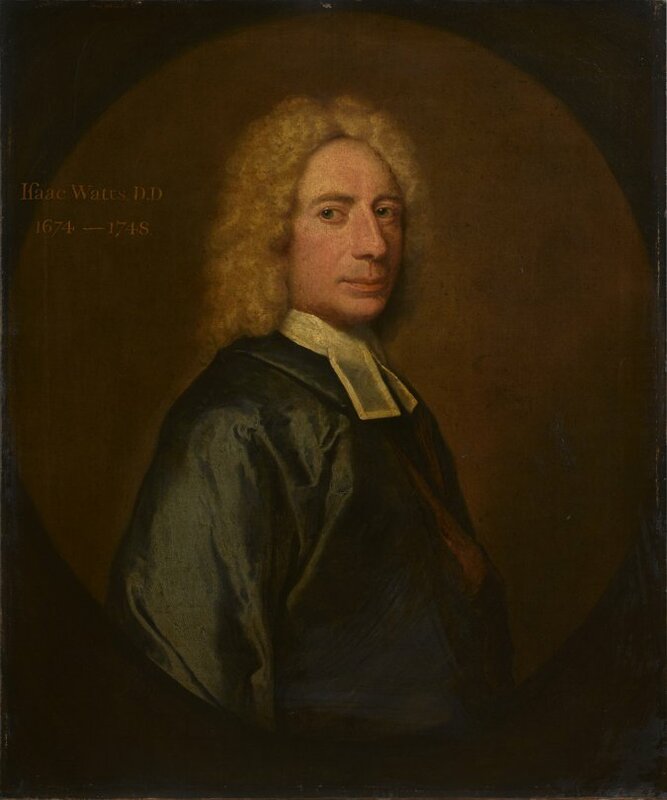 Rectangular painting inscribed 'Isaac Watts, D D 1674-1748'. Stamped into reverse vertical stretcher cross member 'F Leedham Liner'. Frame: Ebonised wood with two flat gilded inner slip frames. Unglazed.